Digital image analysis is Carolina Wählby’s specialty. Digital image analysis is Carolina Wählby’s specialty. 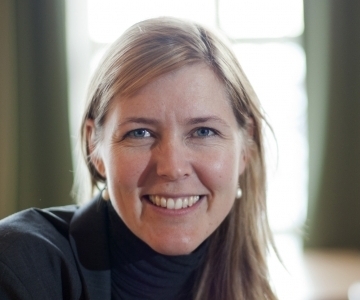 After 2 1/2 years at Broad Institute in the US, researcher Carolina Wählby is back in Uppsala. Right now she’s busy hiring staff and setting up her own new research team as part of SciLifeLab. Her research field is advanced digital image analysis. – Images fascinate me. Microscopic images represent an entirely new world in terms of patterns and shapes, and images are easy to communicate. The goal of digital image analysis is to have the computer interpret pictures objectively and quantitatively – to glean information that the human eye and brain can’t always measure in a quantitative way, says Carolina. In her research she is developing methods to analyse microscope images of cells and tissues, among other things. – It’s about everything from measuring how cells react to various kinds of stimuli to determining the sequence of RNA molecules in cancer tissue. In one of her projects she uses a worm as a model system for infectious diseases in humans. The worm is only one millimetre long and has many organ systems similar to those of humans. – We infect the worm with the same bacteria that makes humans sick, treat them with thousands of different possible drugs, and then use automated image analysis to determine which substances enable the worms to recover from the infection. She says that the technology they use has great potential, for example in looking for new pharmaceuticals for bacteria that have developed resistance to antibiotics. In one screening of 37 000 potential drugs, they found six entirely new substances.